Submitted by ryanl on Mon, 12/04/2017 - 13:50. United Business Solutions counts itself as one of Durban's premier PABX and Switchboard system installers with over 18 years’ experience in the telephone industry. We have partnered with some of the world’s leading brands in PBX office telephone systems allowing us to offer you world class service and large cost savings via our tailormade PABX telephone solutions. United Business Solutions provides the services of assessing, supplying, installing and maintaining of NEC, Panasonic, Samsung and Hosted PABXtelephone systems, having supplied hundreds of clients from small and medium businesses to large enterprises with a wide range of PABX switchboard systems in Durban and surrounds. With an inhouse rental finance facility and optional Service Level Agreements to take care of the maintenance and servicing of your PABX office system, United Business Solutions is the PABX switchboard supplier of choice for Durban and greater Kwa-Zulu Natal’s leading businesses. United Business Solutions now offers United Voice as part of our PABX product offering. United Voice is a voice solution that makes use of innovative VoIP technologies to transmit voice calls over a broadband data connection. 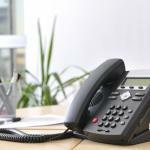 We offer various VoIP packages to suit your businesses needs and can be registered to any PABX telephone system. Contact us today for an assessment of your telephone needs! One of our expert PBX telephone system consultants will visit your premises and perform a full site assessment of your current phone system costs, and offer the best of breed, most cost-effective PABX switchboard solution for your organisation. We service Durban including most areas of Kwa-Zulu Natal, from Richards Bay, all the way down to Margate.